This time of year, with its holidays and fast approaching new year, lends itself to a natural season of reflection. And with that reflection, we once again feel the highs and lows of the past year and face a range of emotions regarding the new. Oftentimes, life feels like a roller coaster. And right about now, you may be wishing for a solid and foundational place to rest. 1 John is written so believers might know they have eternal life and also live like they have eternal life. 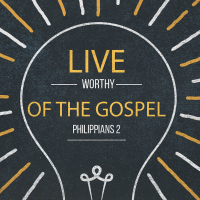 In the very middle of the book, John gives three foundational truths that are critical for all Christians to grasp – the assurance of their adoption into God’s family, their future freedom & hope, and their present moral struggle. In preparation for this coming Sunday, we encourage you to read 1 John 3:1-3. Speaker: John Moon - Psalm 130 was uniquely used in the life of John Wesley. 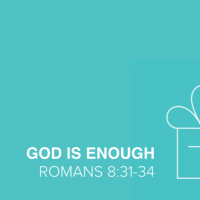 He was a pastor, a minister, who was yet unconverted! It is well known that he was struck forcibly by reading of the introduction to the book of Romans written by Martin Luther that declared salvation by faith alone-It is less known that in the St. Paul's Cathedral that same afternoon he had heard and been deeply moved by, Psalm 130. The refrain of the choir in the cathedral "If God should mark and equities who could stand" reverberated it in his heart and he realized that he could not stand before God except that he stood guilty. 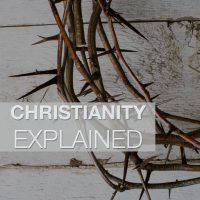 It is important to understand how offensive sin is to a holy God, but how do we keep the awareness of our sinful state from sending us into spiritual despondency? May Psalm 130 encourage us to follow the Psalmist's example by crying out to Jesus and asking him for mercy when we find ourselves in the depths of sins despair. It is only by turning away from ourselves and trusting in Christ's sacrifice on our behalf that we will find a cure for our iniquity. 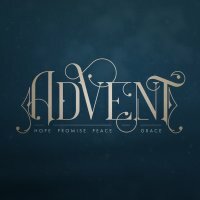 In this advent season, Christ is the only hope that will not fail. Speaker: Lukus Counterman - There are no easy answers to be found in Habakkuk. He treats issues that are profound and complex, requiring serious prayer, thoughtful reflection, and persistent faith. The outer world with its evil conduct and wicked affairs remained the same; Habakkuk’s circumstances didn’t change. But the prophet turned to praise the Lord because he had heard God’s voice. He knew the ultimate outcome of history and was determined to rejoice in the saving power and strength of God. In the end God may not change your circumstances, but he can change you to meet the circumstances. Even in the face of relentless pain, you can be resolved to praise God. Speaker: Lukus Counterman - It seems at last the struggles of Habakkuk have come to some resolution. God has revealed his plan for just judgement and told the prophet to watch and wait. In the end, injustice, evil, Pain in the pollution of society would be stopped by the Lord who is sovereignly into groundIn his holy temple (2:20). Habakkuk has no more questions, no further need to plead his cause, he has no case to make, or compliant to voice. He has learned to keep silent before the Lord whose glory will cover the earth (2:14). The prophet has been hushed, and turns to the Lord with a prayer of praise and worship. 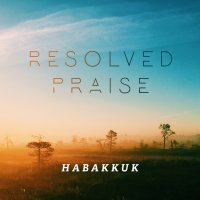 It is as though faith has truly triumphed in Habakkuk's perplexing situation. He has embraced the perspective of heaven and has submitted to the Lord's timing and means of intervention. All Habakkuk can do at this juncture is accept the just and merciful dealings of the Lord and cast himself upon God's care. May the Lord teach us to do the same in the midst of our trials and perplexities.